Keep your holiday celebrations going with our festive wreath. 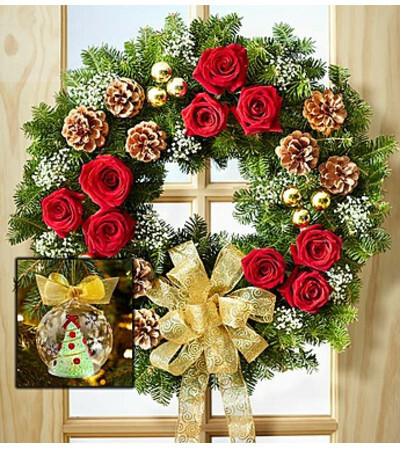 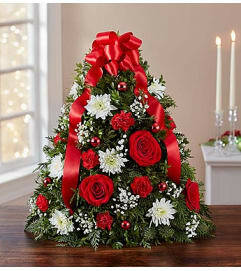 Fresh red roses and baby’s breath are hand-arranged on a fragrant noble fir base with pinecones, gold Christmas balls and ribbon, creating a one-of-a-kind display piece for the front door or dining room table. 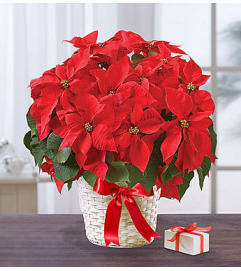 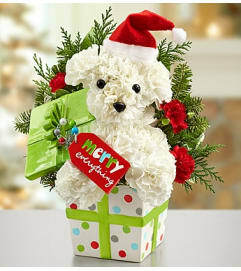 The best part is the lasting joy and beauty this easy-to-care-for gift provides all throughout the season…no watering necessary!